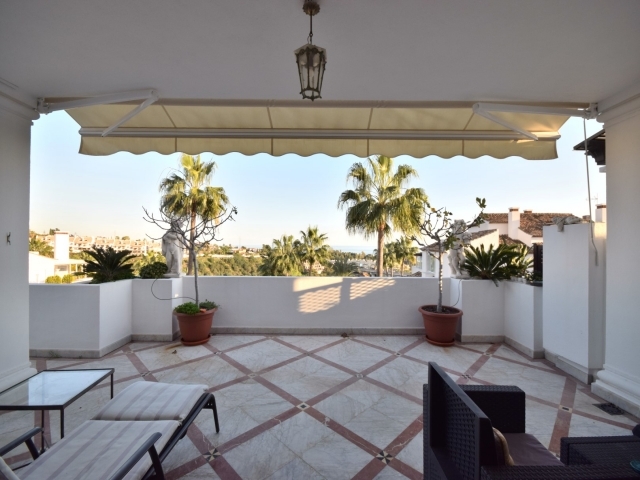 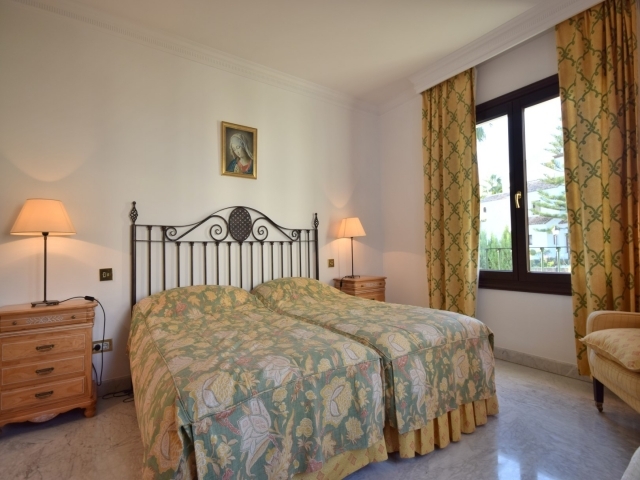 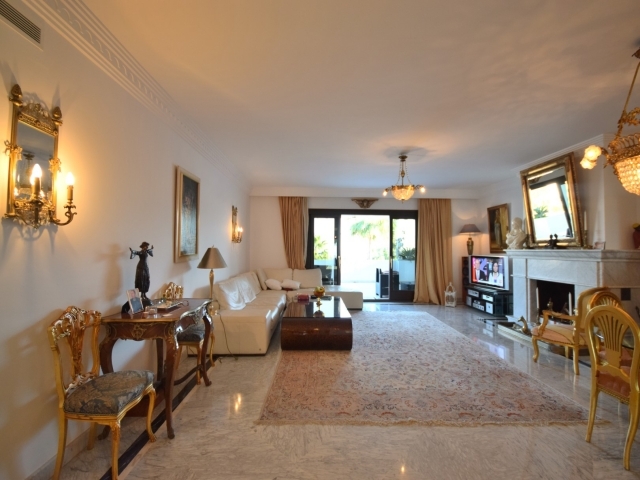 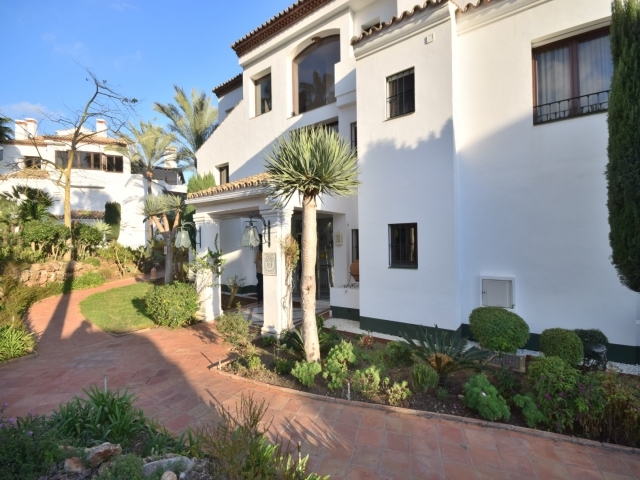 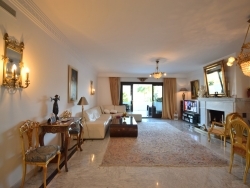 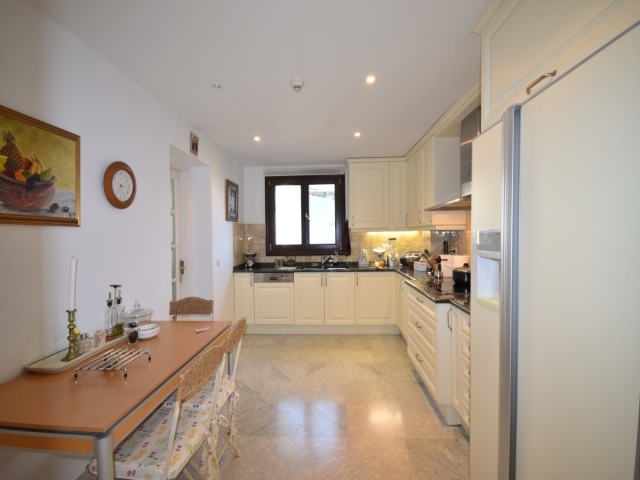 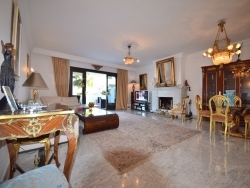 Luxury apartment located in one of the most prestigious urbanizations on the edge of the Golden Mile, only 15 minutes walking distance to Marbella town, this first floor apartment offers South-East sea views. 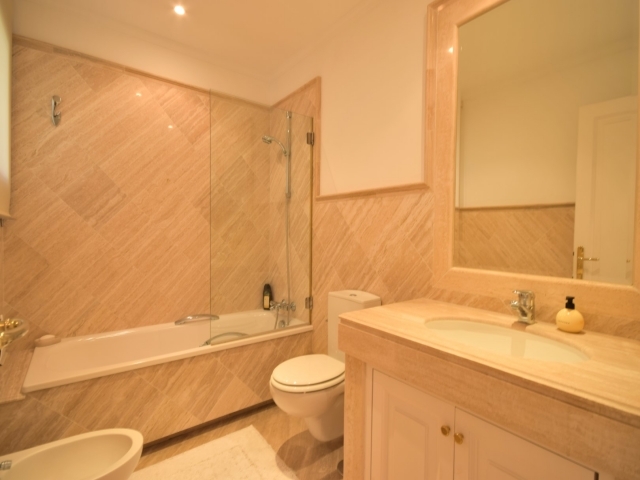 Good quality finishes including under floor heating in every room, electric security blinds, and central hot/cold Air-con. 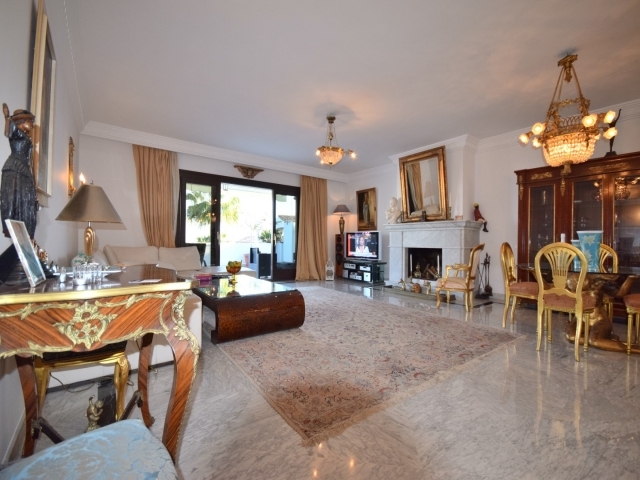 The property has a very spacious square living area with large marble fireplace opening onto a large partially covered terrace. 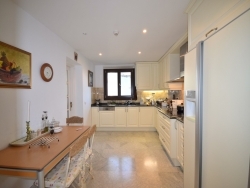 The fully fitted kitchen with adjoining utility room has top-spec appliances. 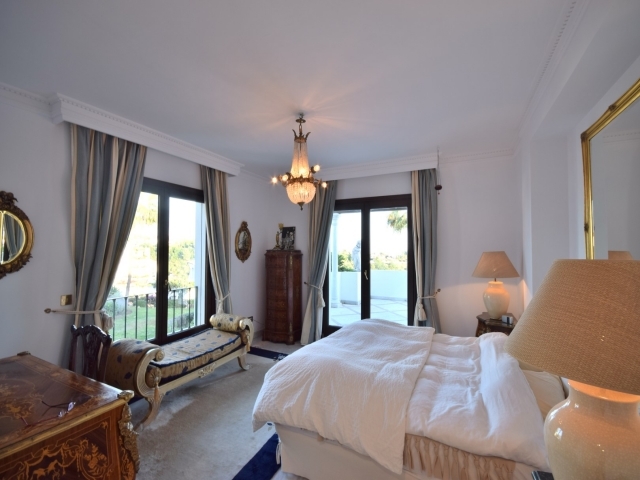 large The large master bedroom opens on to the terrace with sea views, and both bedrooms offer luxury en-suite bathrooms with many fitted wardrobes. 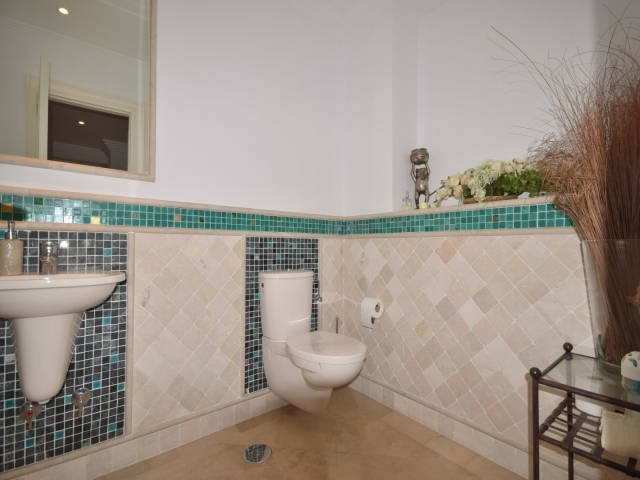 There is a guest toilet, underground parking spaces and a storage unit. 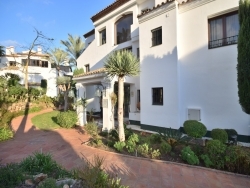 There is a choice of 2 swimming pools close to the apartment. The urbanization offers a real sense of space and freedom and the best possible facilities incl. 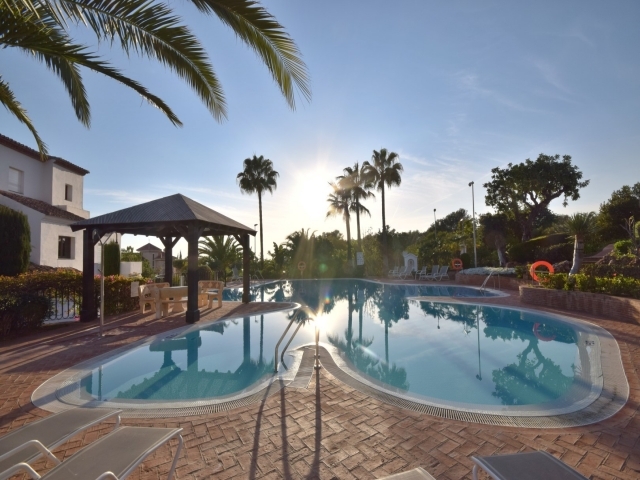 a 9-hole golf course, one of the best quality large gyms on the coast, on-site bar & restaurant, and full concierge service. 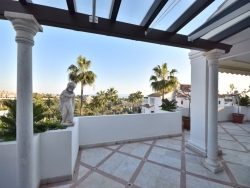 Maximum security with one guarded entry-exit point and over 70 security cameras.